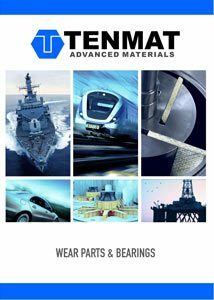 FEROFORM T814 bearings are used in a variety of applications for renewable power such as main turbine shaft bearings and actuation linkages. For wave and tidal power applications the ability to work well in an aggressive seawater environment is a key reason why designers choose FEROFORM T814. Other applications include sliding pads and bushes in wind turbines. FEROFORM T814 bearings are used in a variety of applications for renewable power such as main turbine shaft bearings and actuation linkages. For wave and tidal power applications the ability to work well in an aggressive seawater environment is a key reason why designers choose FEROFORM T814. Other applications include sliding pads and bushes in wind turbines.